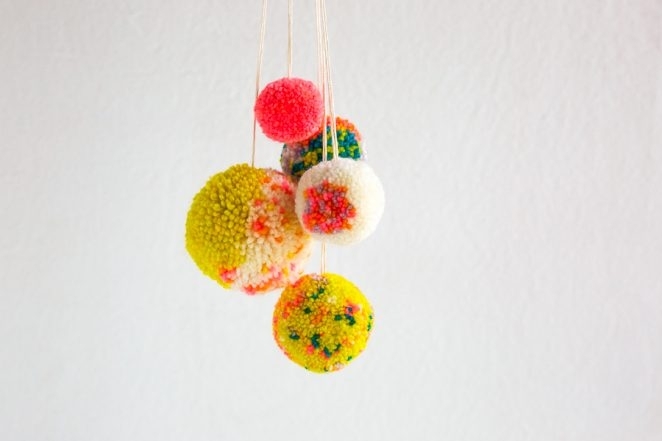 Pom poms are universally irresistible little, springy, soft spheres of good cheer… And who in this world isn’t seeking a bit of joy? 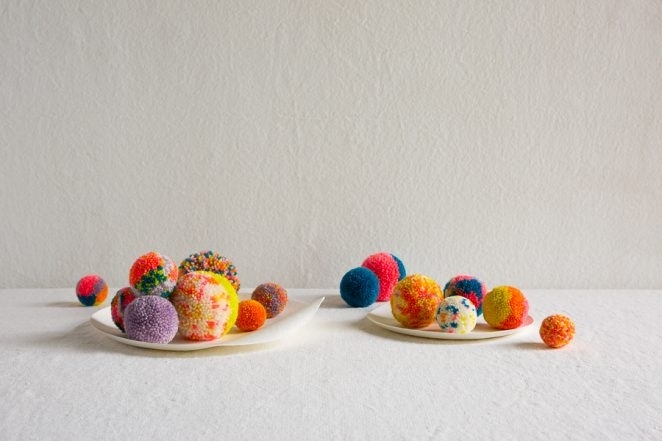 Let the merry making begin with our new Pom Pom Kit! 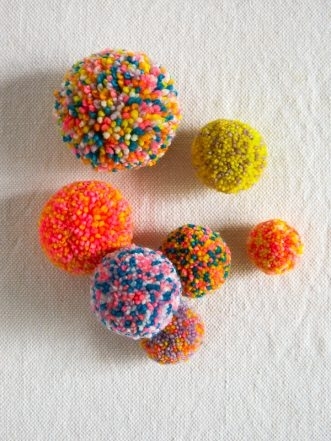 Our step-by-step instructions dispel the mystery of making the perfect pom pom, not just a one-color classic, but special designs, too, like all-over sprinkles, patches of color blocks, and scattered polka dots. You’ll also learn how to combine designs for your own custom remixes. 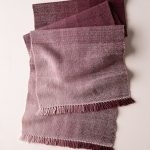 Each kit includes a fun bouquet of six skeins of our Pocket Posy, a great yarn for long-lasting fluffiness. 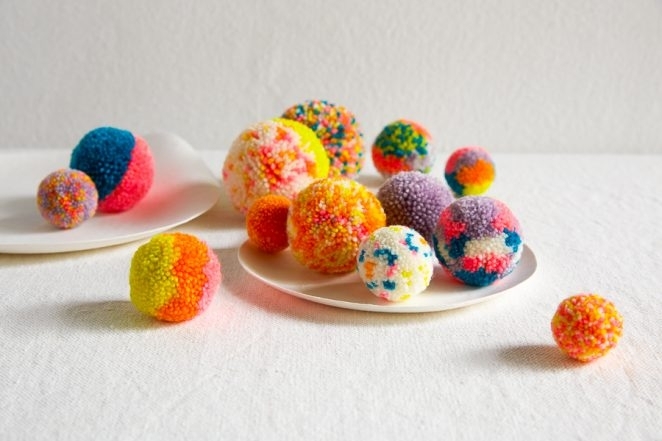 You’ll also find our new Pom Pom Maker Set, a brightly colored and hardy Plexiglass tool set that includes two U-shaped makers, plus six trim guides for giving tidy pom pom haircuts! 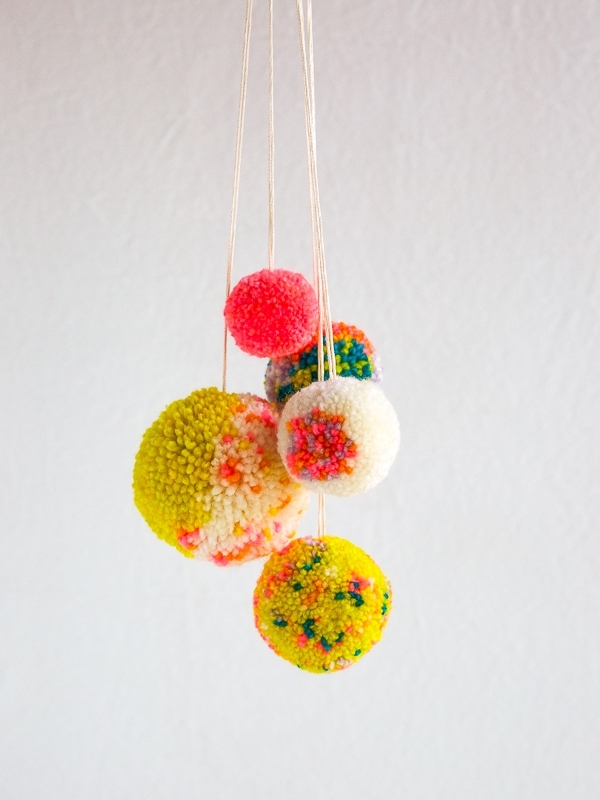 String them onto garlands and necklaces, hang them as charms and ornaments, or place your pom poms on top of hats and gifts, at the ends of zippers and scarves, or in piles of fun on the holiday table! No one has ever met a mean or sulky pom pom, and no one will ever be upset to find one where they least expect it. 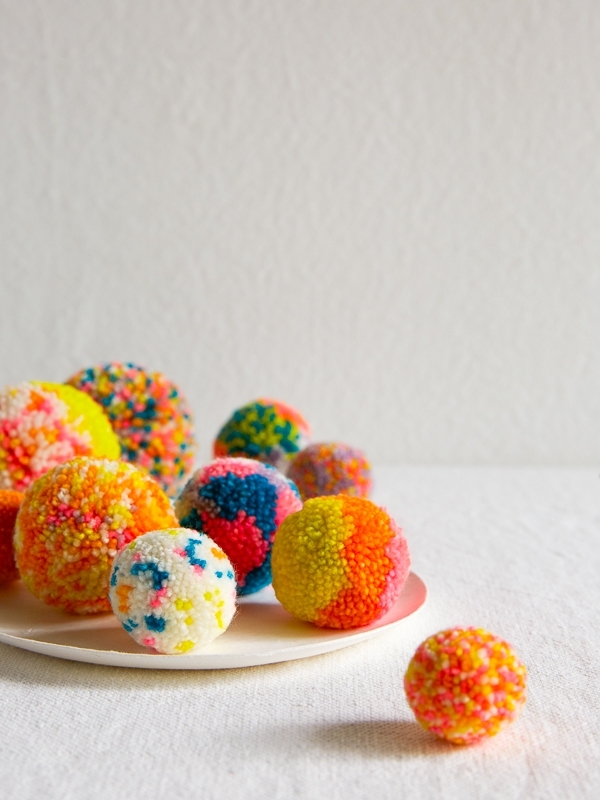 We say, bring pom poms to the party… And the more the merrier! Created in collaboration with Marisa Morrison of The Neon Tea Party. Thank you, Marisa, for your boundless creativity and amazing pom pom vision! 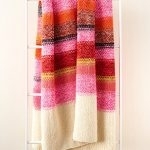 Check here for upcoming workshops with Marisa at Purl Soho. 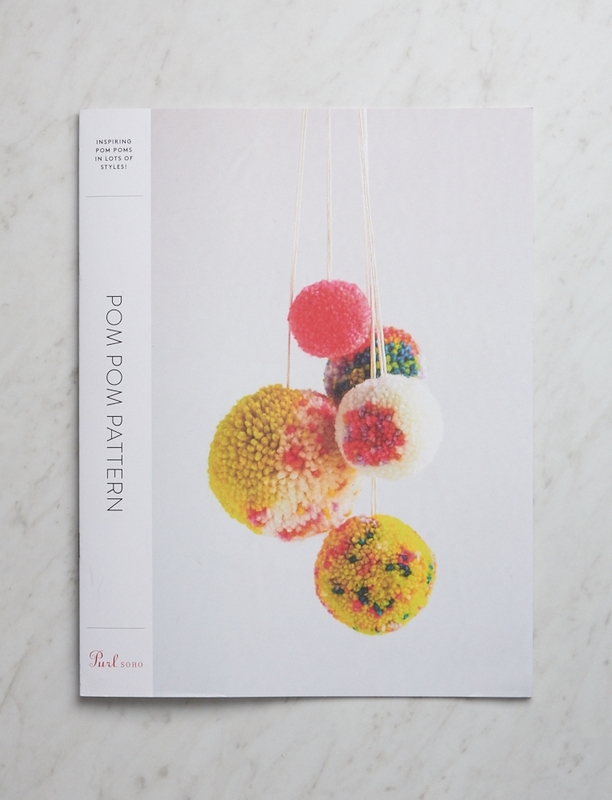 If you already have what you need, our Pom Pom Pattern is available on its own as a hard copy or PDF download. I love this and am considering purchasing one. I like that there are two of the tools included and am wondering if this might be an appropriate craft that my 6 year old could help me with? Thank you! Thanks for reaching out! 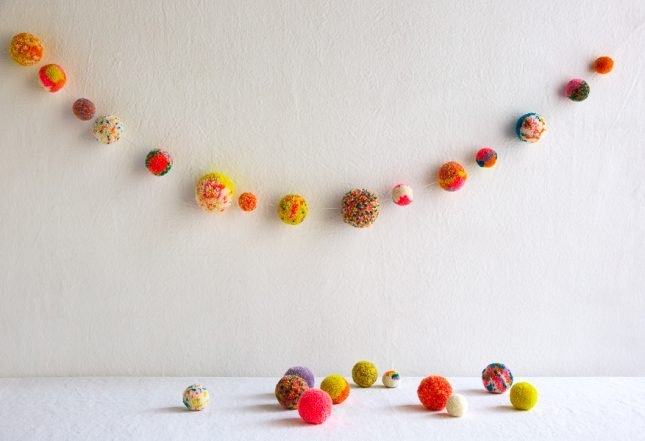 Pom poms are a wonderful activity for kids of almost all ages! 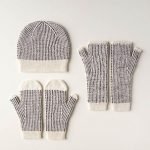 Though you may want to do most of the scissor work yourself, a 6 year old is more than capable of wrapping the yarn around the pom pom maker and selecting color combinations and patterns. 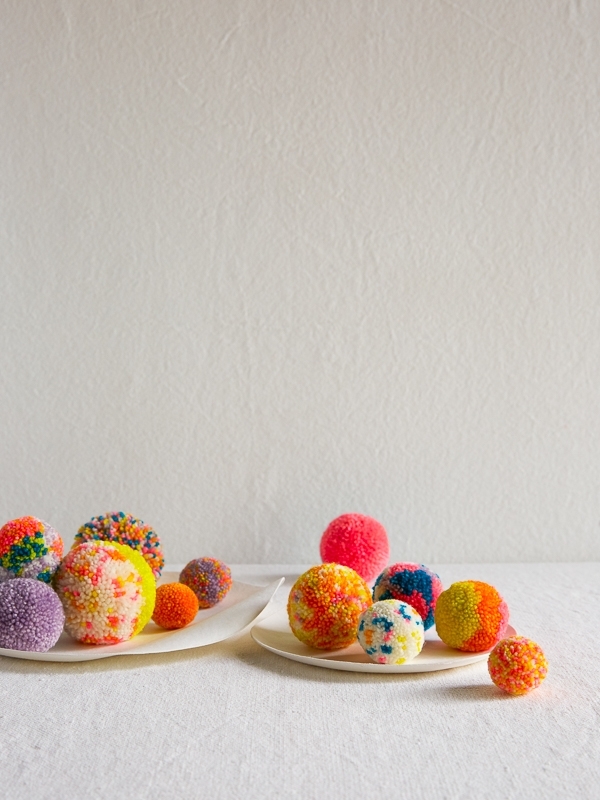 I’ve made many pom poms with my own children and we all enjoy it! 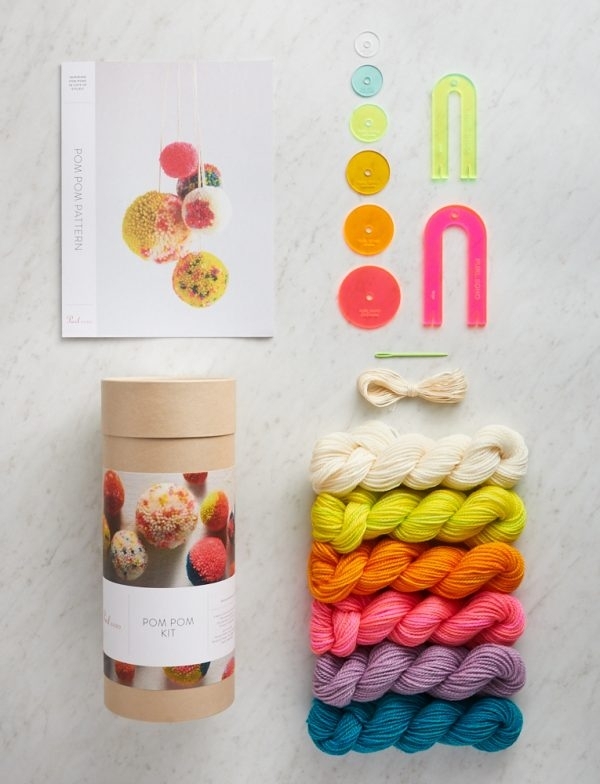 This pompom kit looks so wonderful! I’m really thinking about purchasing one, but I’m a little wary. 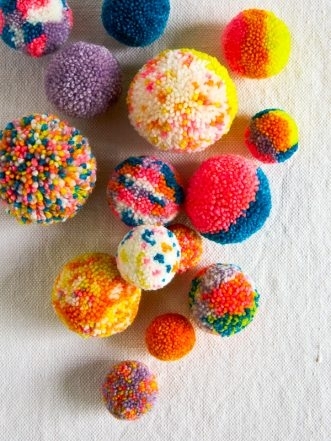 I have had so much trouble with pompoms falling apart in the past. 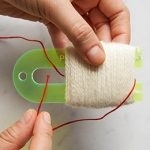 Does this kit contain a little “secret” about how to securely tie-off the pompom. 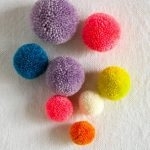 I really love pompoms, so I’m hoping this may be the answer to my prayers! Thank you so much for the kind words! 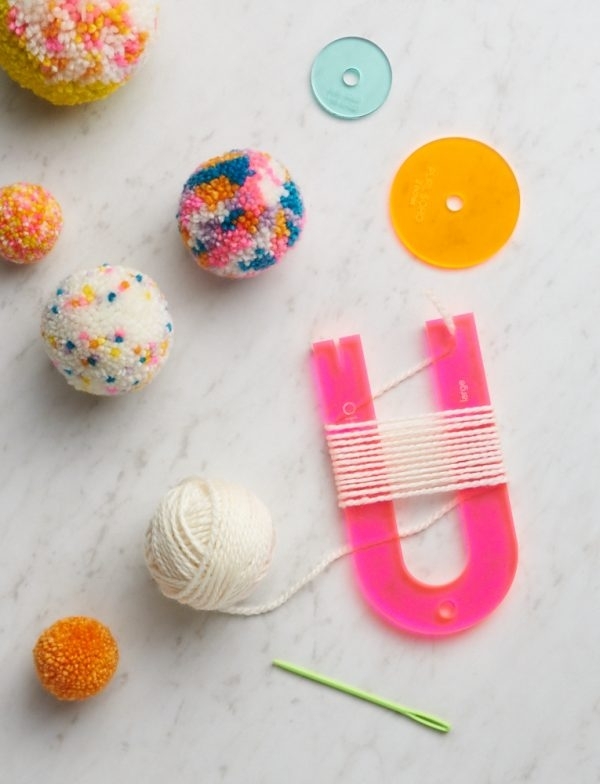 You may find that the U-shaped pom pom maker makes it much easier to tie the pom poms tightly – we also include some embroidery floss for this step, since you can really tighten it up without worrying about it breaking the way yarn might! 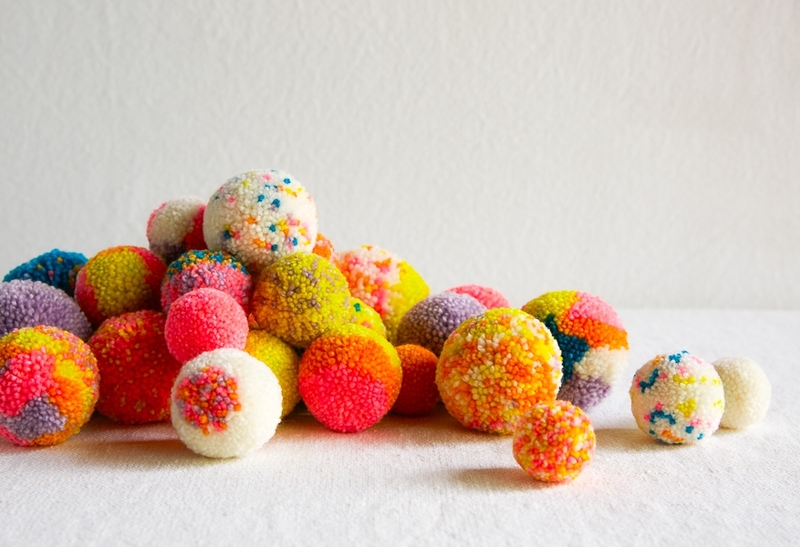 If you want a preview, you can check out our Pom Pom Tutorial which explains the basics of how to use the U-shaped pom pom maker and includes our tips for securing everything. 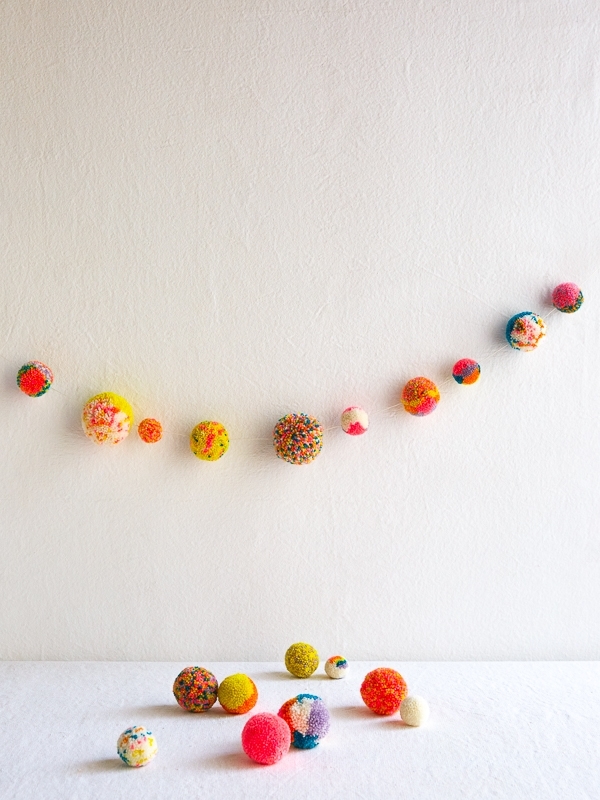 We have found our pom pom garland in the shop to be quite resilient, so hopefully this kit creates the pom poms of your dreams!